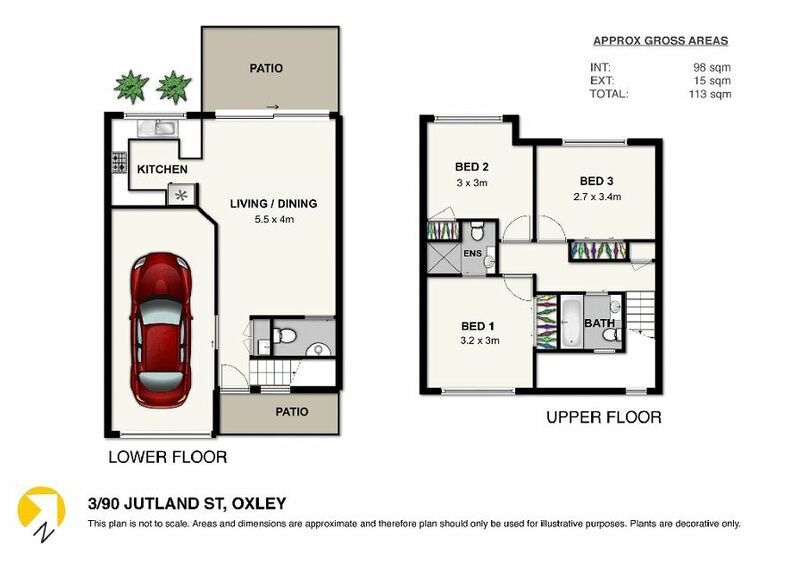 This 3 bedroom townhouse is located in one of Oxley’s better locations. Perched up on the hill, this complex is highly regarded because of its proximity to the city, public transport and choice of excellent local parks and great cafes. This complex is one of Bindors’ premium developments, designed to accommodate the increasing demand for larger style townhouses and lifestyle. Each of these townhouses has been cleverly designed with all the living downstairs opening to an easy care entertaining area and private garden – creating space and light and an easy flow between the indoors and outdoors. 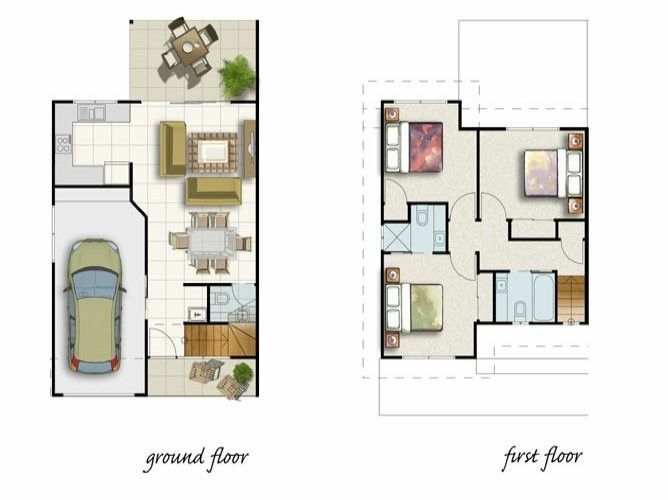 Downstairs features a modern kitchen, living and dining space with ceiling fans and is fully airconditioned. The kitchen has a dishwasher, rangehood, and cooktop – giving you plenty of options for entertaining. With low maintenance tiled floors, white walls and ceilings the neutral colour palette is easy to work with – you can leave as it is or make it into your own. Upstairs is fully carpeted, and the bedrooms feature ceiling fans and double wardrobes. The master bedroom has its own ensuite and having the additional second bathroom means there’s plenty of room to avoid the morning rush. The complex features a large saltwater swimming pool and entertaining space with a large green space – great for an afternoon with friends and family. There is also plenty of additional parking for visitors and each townhouse has its own remote controlled lock up garage. If you are looking for lifestyle, proximity to the city, public transport and Oxley’s rapidly growing café culture, then these townhouses are a great option. Located in the Corinda State High zone, they are an excellent opportunity for both investors or those looking to purchase in one of Brisbane’s rapidly growing suburbs.